U25B 800 (location unknown) on May 11, 1962. U25B 800 at St. Louis, Missouri on November 10, 1973. 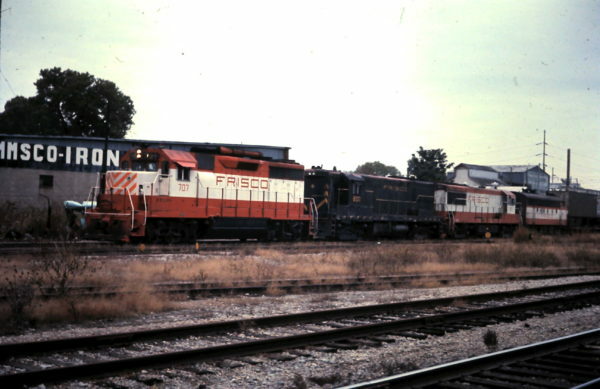 The photograph was taken at the Mechanical Department’s locomotive service tracks area on the north side of Lindenwood Yard. This area is northeast of the diesel shop, south of the River Des Peres. The viaduct in the distance over the yard and river is Arsenal Street. Above the rear radiator of the GP35, in line with the lower portion of the yard light tower, is the rooftop of the yard tower. 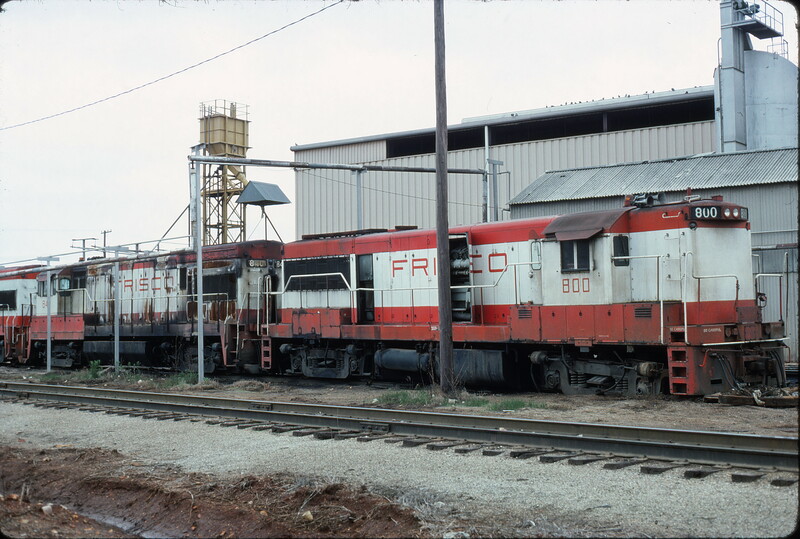 Visible to the left of the locomotives are two of the fuel stands and hoses. 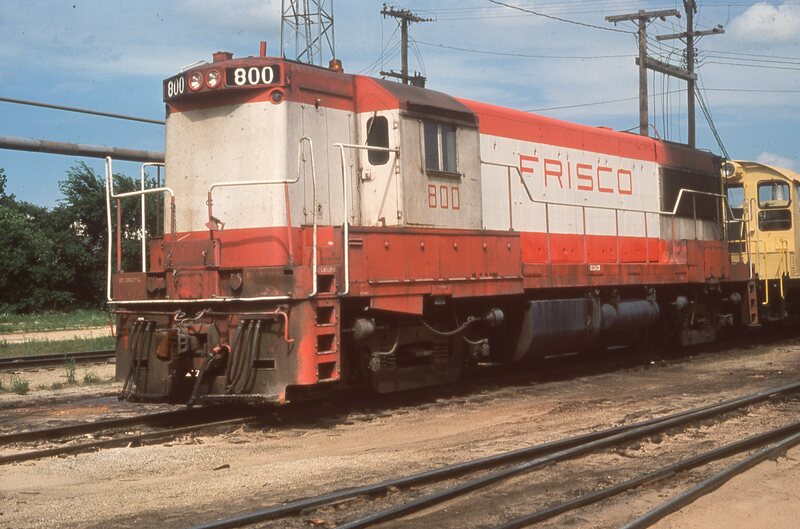 Note the end of hose nozzle with twist-lock connector that can be attached to a locomotive fuel tank fill pipe. The nozzles feature a pressure backflow shutoff device to prevent fuel tank overtopping and spills. The yellow autorack in the distance is on one of the repair-in-place (RIP) tracks. 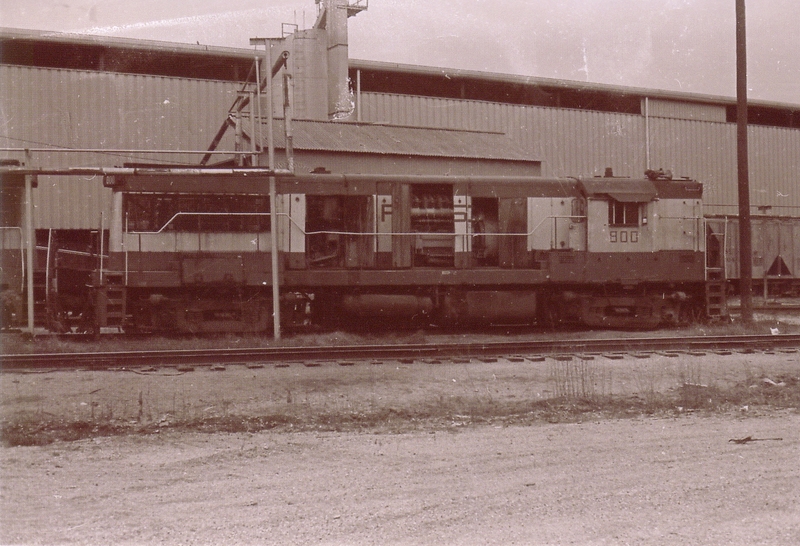 The Car Department operated five RIP tracks just north of and adjacent to the locomotive facilities. U25B 800 at Springfield, Missouri in July 1968 (Charly’s Slides). 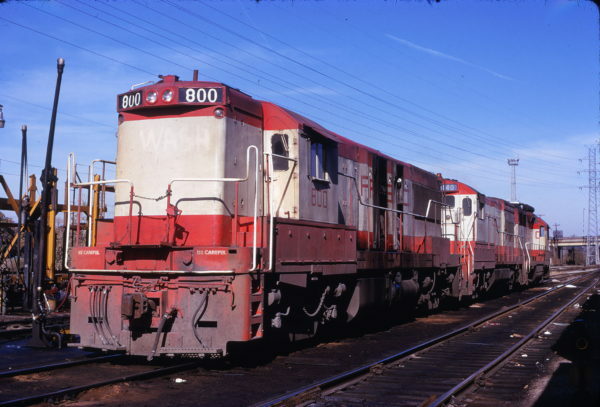 GP35 707 and U25B 800 lead a train (date and location unknown). 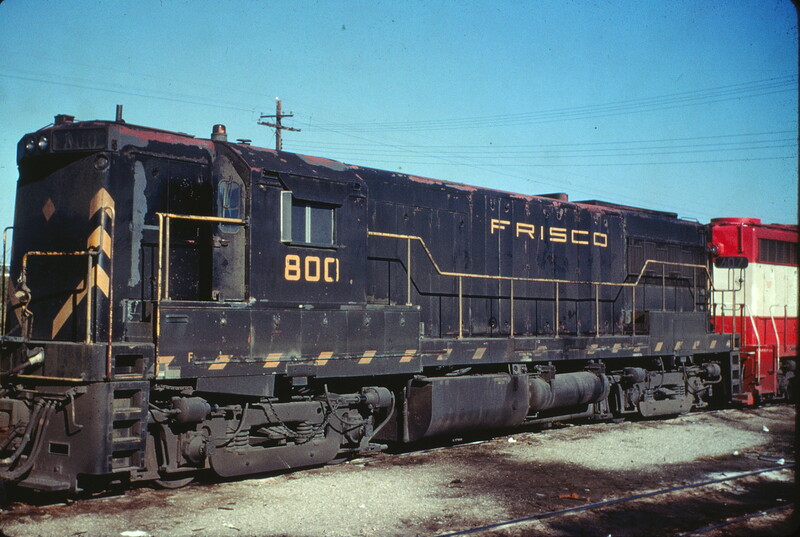 U25B 800 at Springfield, Missouri (date unknown). 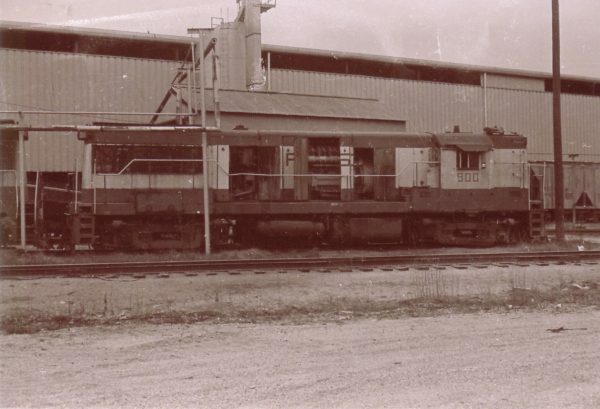 The location is the on the pocket-track at the east end of the Springfield Diesel Shop. The view is looking south. In the background is the service track shed, sand track with the sand storage tank, elevator and unloading shed. A company sand car is also seen on this track. The steam line that runs up and over the locomotive goes to the wash rack pump house. 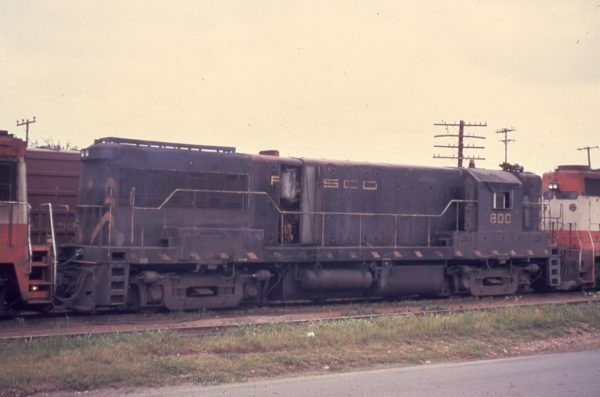 U25Bs 807 and 800 (location unknown) on April 18, 1962. 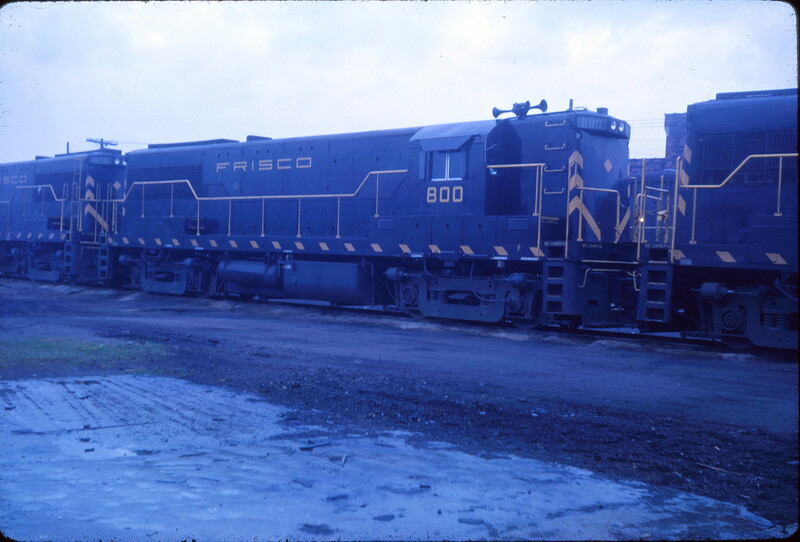 U25B 800 at Sherman, Texas in 1972 (Keyser). 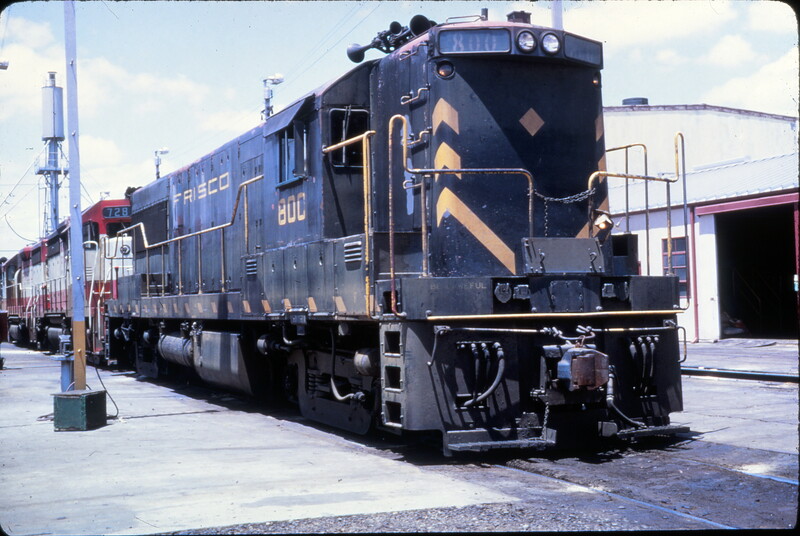 U25B 800 at Springfield, Missouri on May 2, 1977. U25B 800 at Springfield, Missouri on May 30, 1975 (Mike Condren). 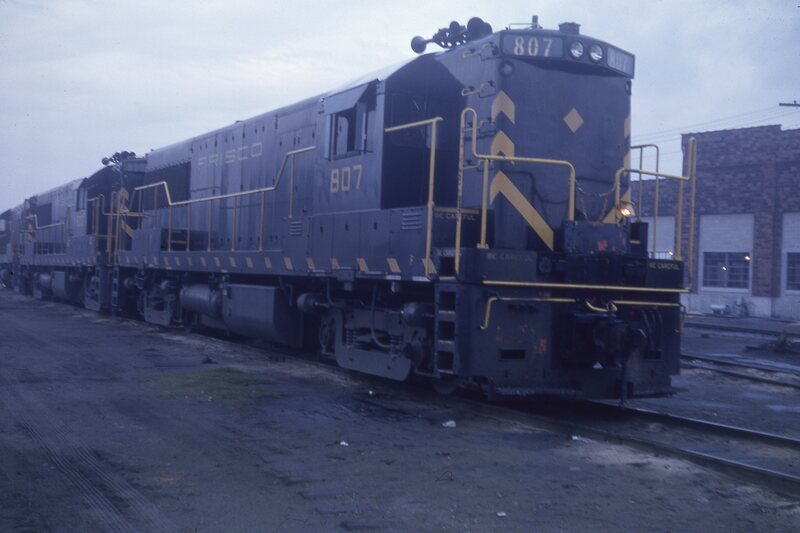 U25B 800 at Memphis, Tennessee in May 1968.